New York City – A Jewish professor’s office at a university in New York City has been vandalised with anti-Semitic graffiti, including swastikas and an anti-Semitic slur, underlining recent concerns of a rising number of hate crimes against Jews in the United States. 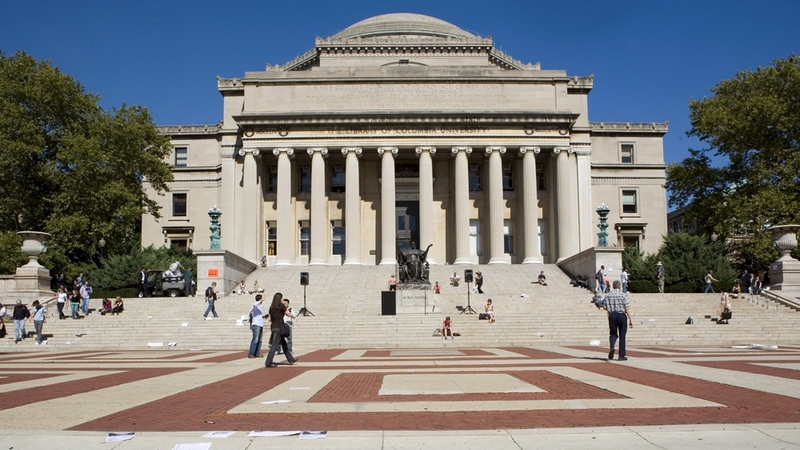 According to the New York Police Department (NYPD), Elizabeth Midlarsky, a professor in psychology and education at Columbia University’s Teachers College in Manhattan, discovered the swastikas on the wall of her office on Wednesday afternoon. “There were two swastikas and the word ‘YID’ on the wall,” Detective Hubert Reyes of the NYPD told Al Jazeera. “YID”, from “Yiddish”, is widely considered a slur against Jews. The detective said no one had been arrested, adding that the NYPD’s hate crime task force was investigating for “a possible biased crime”. “I stopped for a moment because I couldn’t believe what I was seeing,” Midlarsky said. According to multiple reports, this is the second time Midlarsky’s office has been defaced with anti-Semitic slurs. The first time it happened was in 2007. “We unequivocally condemn any expression of hatred, which has no place in our society. We are outraged and horrified by this act of aggression and use of this vile anti-Semitic symbol against a valued member of our community,” Bailey wrote. Writing in the Washington Post following the massacre of 11 people at Pittsburgh’s Tree of Life synagogue in October, Rabbi Danny Schiff, foundation scholar at the Jewish Federation of Greater Pittsburgh, said even though anti-Semitism is at a low ebb in the contemporary US compared with any other moment in Jewish history, “anxiety over an anti-Semitic resurgence is never far from the surface, and the inexorable drumbeat of anti-Semitism can hardly be said to have been silenced”. White nationalist Robert Bowers attacked the synagogue during the Saturday Sabbath service on October 27, screaming, “all Jews must die”. Earlier this month, the Federal Bureau of Investigations (FBI) said that hate crimes had increased in 2017 by 17 percent, the largest increase in more than 10 years. It said it had documented 7,175 hate crimes across the country through the course of the year. At least 20 percent of all incidents were linked to anti-religious bias. It also said that anti-Semitic incidents had increased by 37 percent between 2016 and 2017. The FBI report corroborated earlier findings published in May by the Center for the Study of Hate & Extremism at California State University, San Bernardino, which found that hate crimes reported to the police in the country’s largest cities had increased by 12.5 percent in 2017. The report concluded that in New York City, home to 1.1 million Jews and considered the largest concentration of Jews outside Israel, the community “have consistently been the top target and the overwhelming majority of anti-Semitic attacks in the ten largest cities”. In early November, police arrested a suspect for vandalizing a Brooklyn synagogue with pro-Nazi slogans earlier in the month. The man had written “Hitler,” “Jews better be ready” and “Die Jew rats”.